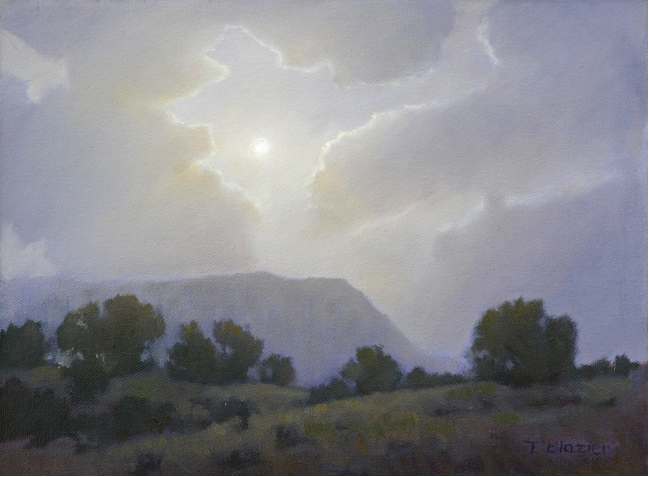 Artist, Tom Blazier, member 17468 recently sent his nocturne cloud oil painting entitled “Jemez Moon”. The region is Jemez Springs, New Mexico, U.S.
What an evocative work! It stirs my imagination with the sounds, smells, and cool humid air of a summer night. Thank you, Tom, for giving us this moment of contemplation. at creating such an image with others , is a gift, which unfortunatly, I don’t share. Brilliant.